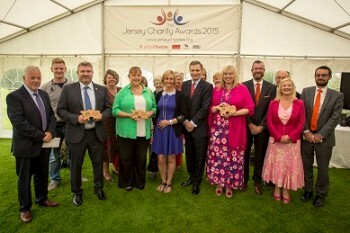 This year’s Jersey Charity Awards will be held on 17 September. We’ll be looking for special achievements made with large, medium and small charities and once again, there’ll be prize money and an afternoon tea up for grabs! Application forms will be available from 8 May. Keep an eye out for more here! If you know of islanders' with disabilities that stop them from driving, they could be eligible for free bus travel. 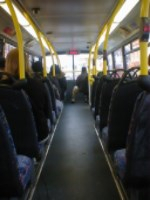 AvanchiAccess is a concessionary bus pass scheme for islanders with long term disability that prevents driving. This pilot scheme will be running until the end of 2019. Islanders with long term disability can find out more at www.libertybus.je or www.gov.je/buses. Information is also available at Liberation Station and a variety of other community organisations. There is a £15 application fee and terms and conditions apply. Jurat Robert Christensen MBE has retired from the Cancer Research UK Jersey committee after 25 years in the role, helping to raise around £28 million for the charity. 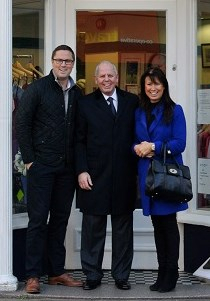 The local fundraising committee now welcomes Richard Hughes as the new chairman and Anita Brown as vice-chairman. Jurat Christensen will also remain involved as an ambassador for the charity, continuing to work on major fundraising initiatives. In 2015, Jurat Christensen was honoured in the Queen’s New Year Honours list by being appointed a Member of the Order of the British Empire (MBE) in recognition of his incredible work. He said: “It has been a privilege to serve as chairman for so many years. During my tenure, there has been a dramatic improvement in the survival rate of patients diagnosed with cancer, so I would like to thank the committee, fundraisers and everyone else I’ve worked with over the years for their dedication and support. "However, while there has been significant progress, the incidence of cancer continues to increase, which is why we need to continue to work on understanding how we can better treat cancer. Our first event of the year, sponsored by The Lions Club of Jersey, is for teenagers and young adults on Saturday 22 April at the Jersey Aero Club. 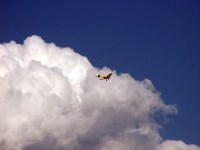 During the day, there will be the chance of a flight around the island and everyone will receive a certificate with the aircraft registration and the pilot’s name. 25 flights will be offered and allocated on a first come, first serve basis although, preference will be given to anyone who has not flown with us before. Guests must be accompanied throughout the day by a parent, guardian, or carer. Brothers and sisters are also welcome to join us, and, space permitting, may also fly. We are also organising a visit to air traffic control. Light refreshments will be served and all guests will go home with a goodie bag. To apply, download the application form or e-mail us for a copy at hello@helpingwingsjersey.org before Friday 15 April. A grant scheme to encourage improvements to Jersey's environment is now open for new applications. 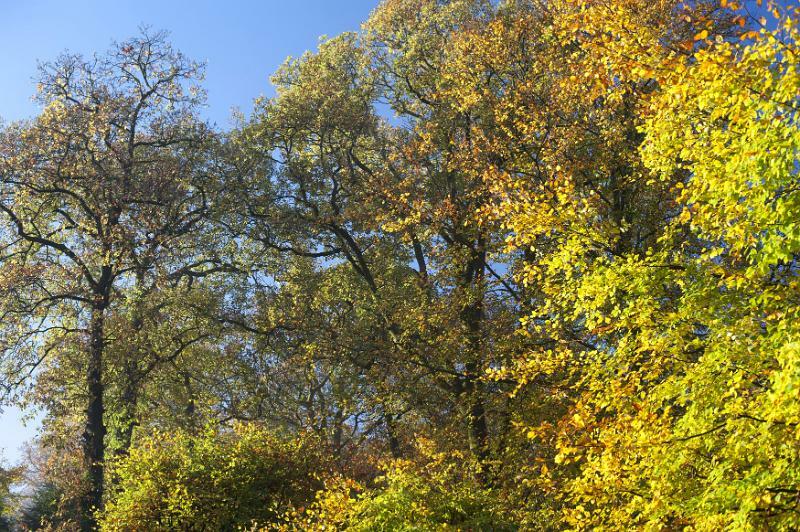 The scheme is open to anyone responsible for the management of land including members and other charities, farmers; growers; land managers, landowners; businesses; societies; schools and States departments. Your application must be submitted by Friday 24 February 2017 to be considered by the CES Panel for funding. For more information visit the States website or contact the Rural Economy Officer on ruraleconomy@gov.je or 441600. Have you spotted Les Amis' new van? 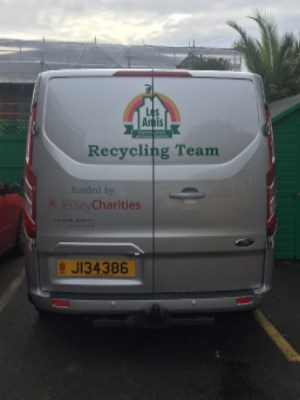 The charity's van has been paid for with a grant from the AJC, ready to begin their new recycling project. And we wish Les Amis all the best with this. Ideal for those who would like to use Quickbooks more efficiently. You will need to attend the two Tuesday sessions. This is to complement the social networking training run by Jan Galloway and includes how to set up a FB page, twitter account and Linkedin. This basic introduction to social networking (aimed at novices) will look at how blogs, forums and sites such as Facebook, Twitter and LinkedIn could benefit your organisation. So if you want some ideas about improving your online presence, increasing your profile and integrating social networking with your marketing/fundraising strategy, then come along and find out more. one-to-one reviews and the best ways to conduct them. Performance appraisals can be a valuable part of an effective staff management process and can add to the successful development of the organisation as a whole. When done correctly, appraisals offer managers an opportunity to give positive feedback to employees, to become more acutely aware of their team’s personal skills and goals, to manage on a more bespoke level or to encourage employees to improve their daily performance and ultimately that of the organisation. Successful regular appraisals also make employees aware of the organisation’s longer term goals and provide a chance to review, assess, de-brief and generally develop the skills and confidence of the person being appraised. However, appraisals can risk becoming a ‘tick box’ exercise which cause anxiety and with little substance. 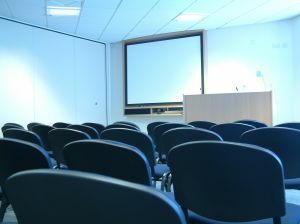 Bill is also available for ‘in house’ introductory sessions on performance management. This course is aimed at any organisation considering developing a major donor fundraising programme and designed to benefit fundraisers, trustees or volunteers and those tasked with the responsibility for identifying, securing and retaining wealthy individuals as donors. You will look at how to identify suitable high net worth individuals, how to build rapport, make face-to-face approaches and ask confidently, whilst developing strong, longer term relationships. Learn more about understanding your donors’ motivations, aspirations and interests and how to tailor individual fundraising propositions to ensure they retain your major donors, whilst also gaining longer term commitment to ensure that the size and frequency of gifts increase. What Will It Mean For You? After a vote by politicians in July 2015, the States of Jersey allocated £70,000 towards the implementation of a new law governing the way charities operate and are regulated. With a charity commissioner to be appointed and a central register to be introduced to oversee the new law, the law will also help new organisations gain charitable status and this session will look at what this means in reality, for island based charities and organisations. The law will provide a clearer definition of what actually constitutes a charity, and defining ‘public benefit’, which will have a big impact on some local organisations, such as sports clubs, allowing them the possibility of registering and benefitting from tax benefits on donations. It will also set our rules for the duties of governors/trustees and place restrictions on the use of the terms "charity" and "charitable". Please contact Lyn or call 840138 for more information on any of the above, or to book your places. 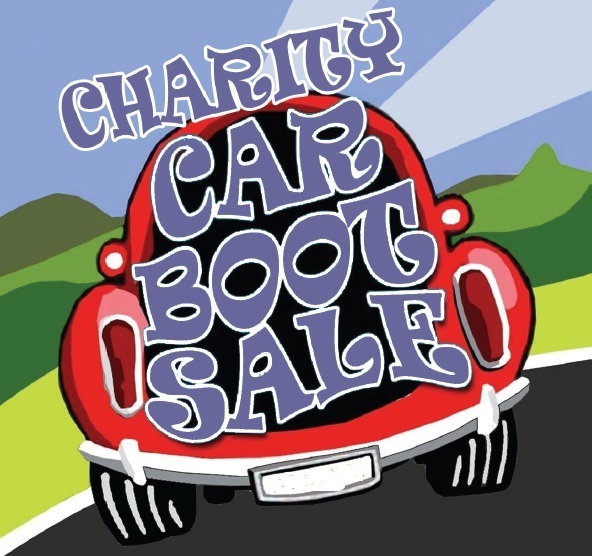 All car boots will be held on St Martin’s Village Green, 8am-2pm. Pitches are £8 each with all proceeds to the charities. Please contact Carole-Anne, Roger and Alexis on 864407 to book your place. Please continue to like us and spread the word and don't forget to give us a Tweet or two! And if you have any stories, updates, suggestions or photos for the next AJC newsletter, please email lynsey or call 840138. Copyright © 2014 Association of Jersey Charities All rights reserved.